NEW RELEASE! 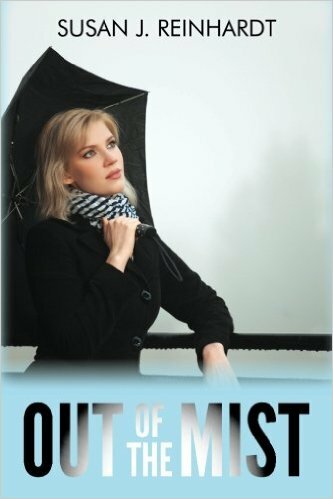 The print version of Out of the Mist, the third book in The Moses Trilogy, is available on Amazon. The ebook will be out as soon as some technical issues are addressed. Drive, determination, and an anti-Christian attitude mark Kendra Marshall. When she collides with Peter Gruber (a.k.a., Zimmerman) in a college hallway, she has no idea her life is about to take a sharp turn. Dave Yoder's geeky ways are a turnoff to the sophisticated, pre-med student. Undaunted by her brush-off, he works to capture her heart. Peter's family and friends see red flags in any relationship with the feisty young woman. Trouble is written all over her, but when she's injured, they come to her rescue. They soon find she's marked by The New Patriot organization and could blow their carefully-devised cover. Once again, the Grubers' (a.k.a., Zimmerman) Amish friends in Bird-in-Hand, PA and Holmes County, Ohio join in the race for answers and protection. Kendra's not always cooperative and gets herself into major trouble. Will a young woman accomplish what The New Patriots haven't over the course of two decades?